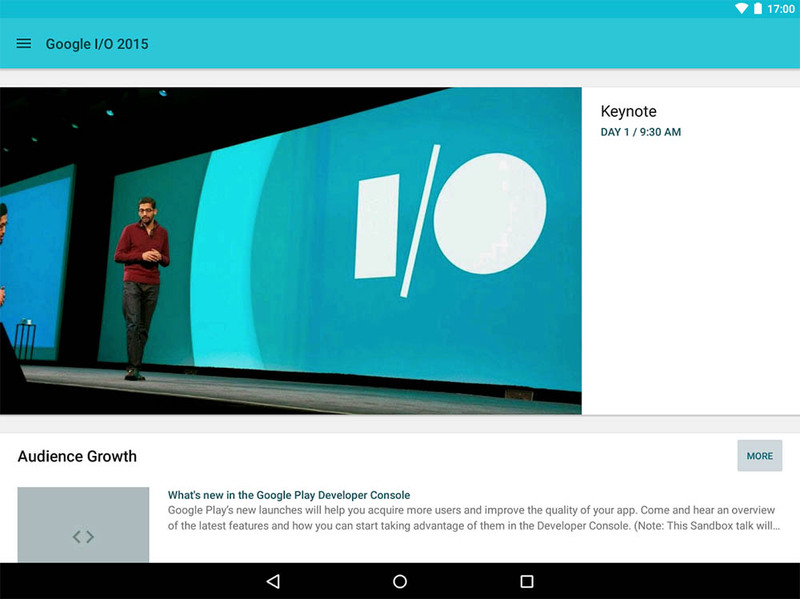 The official Google I/O app received an update today to get it ready for the 2015 event. As you all know, I/O takes place on May 28 and 29 in San Francisco and the app is one of the best ways for attendees and non-attendees to keep up with the action. This app also always serves as a vehicle for Google to show off the latest in Android app design, which still happens to be Material Design. 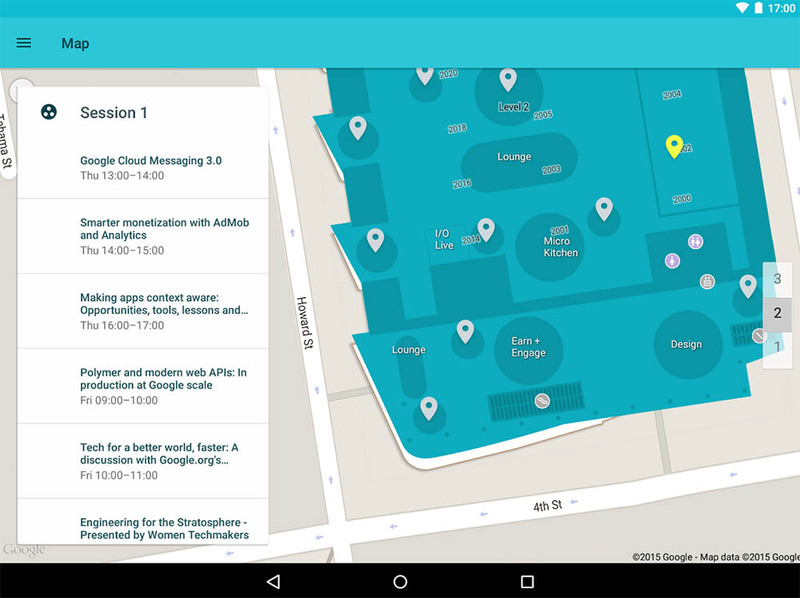 The app is quite robust, giving users control over an agenda and personalized schedule, the ability to watch live streams of sessions and the keynote, and a vector-based map of the conference. For those planning to attend, the app also gives you an option to pre-configure WiFi.